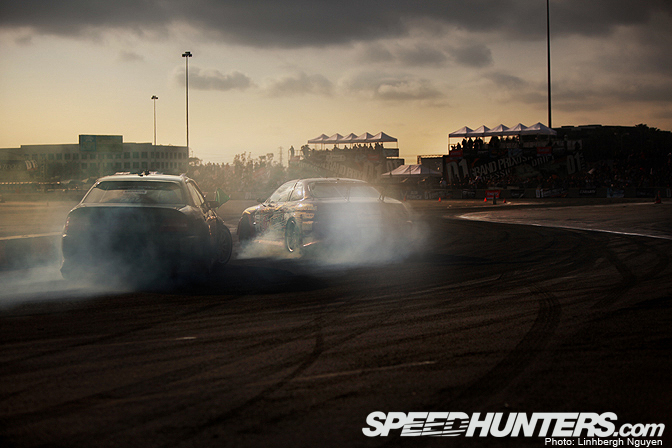 A rather unexpected bit of news came yesterday afternoon when D1 Grand Prix announced it's 2010 US drifting schedule. Besides plans to hold events in Texas, Atlanta, Florida, and Irwindale, D1 also announced a deal with Speed TV to televise both the USA events, and D1 action from Japan over the course of the year. No word on who will be competing in these events, or which drivers will be coming over from Japan. Hopefully we will learn more as August draws closer. Can D1 become viable in the United States again? I guess we will find out. I wish they would come to chicago again. Woooooooh! Thanks for the heads up about the TMS race...now I have something to look forward to other than one hot summer. It's about time! Hopefully a lot of Japanese drivers will attend. Wish they were coming to E-town again. and when i say they, I mean the Japanese drivers. i dont really care what series it is. 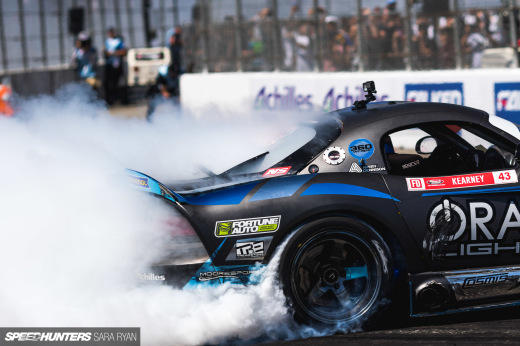 Stoked to see D1 back in the US but not happy the Midwest is skipped once again by a professional drift series. Come on D1 you were our only hope! D1 is comming to TEXAS!!!!! hell yeah!!! Please god don't let them join up with NOPI or Gumball 300,000,000 again. Last time they were here the events were so lousy I couldn't see D1 coming back. Let's all pray for a REAL D1 vs Formula D! I can see it...Tanner vs. Imamura....Saito vs. Hubinette....Kumakubo vs. Gittin....D-Mac vs. Hibino....oooooeeeerrrrrrrrrrr.......it could be soooo gooooooooooodddd! yeah they seriously need to come to NJ, but glad to see theyll be stateside!!! I don't see this having a good outcome at all, after 3 years of utter fail how are they going to suddenly be worth getting excited about. I just realized that its going to be at Texas Motor Speedway. horrible choice for a drift track because its a NASCAR track. but im not really complaining because I GET TO SEE IT IN TEXAS!!! 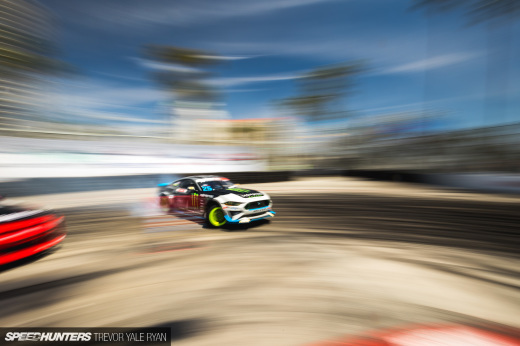 i'd like it to be a success, but i'm doubtful.... even with a constant american presence and coverage from all corners of the internet, FD is barely making a dent in the overall scene of motorsports worldwide. D1, while a well-established and professional series, i'm not sure if it has the crowd-drawing capabilities it will need to be a success, but like i said it would be great to see that happen! i'm wondering if the fact that three out of four of the events being on the east coast (i guess texas isn't really east coast...) will affect things? I hope some top drifters from europe will join this series, like Paul Vlasblom, Aasbo, Deane, and so on. I hope they will also invite some drifters from Europe with an D1 license like Paul Vlasblom! BTW just checked Texas Motor Speedway, nothing at all on schedule. All of a sudden, my excitement waned. They are noticing the ever growing popularity of the sport in the states and want to get a piece of it. It would be awesome if they made it to Seattle. FD drivers better step their game up... In my opinion D1 drivers are more aggressive than any other series. I feel so much more excitement watching the D1 guys go at it. 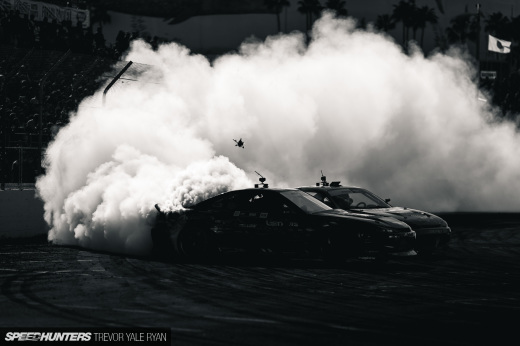 they need to have the world all star drift competitions again..
pretty much seemed like d1 last year was just a pro-am event...didnt spark my interest at all...i was hoping more japanese d1 drivers would compete.